A batch bi-directional DWG and DXF converter and dwg version converter without AutoCAD ! - AutoCAD DWG DWG Version Conversion. Active DWG DXF Converter lets you batch convert DWG Files into DXF files and vice versa without AutoCAD. It is also an AutoCAD drawing file version converter supporting both low to high and high to low conversions. Active DWG DXF Converter Supports versions from AutoCAD R2.6 to the latest version AutoCAD 2013. - Convert DWG to DXF, and DXF to DWG in batches. It is also a DWG/DXF file version converter. 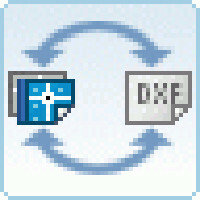 - Supports every version of DWG/DXF files (R2.5 to R2013 DWG/DXF formats).